This week our poem was 'Bouncing Grandma' by Jill Eggleton. 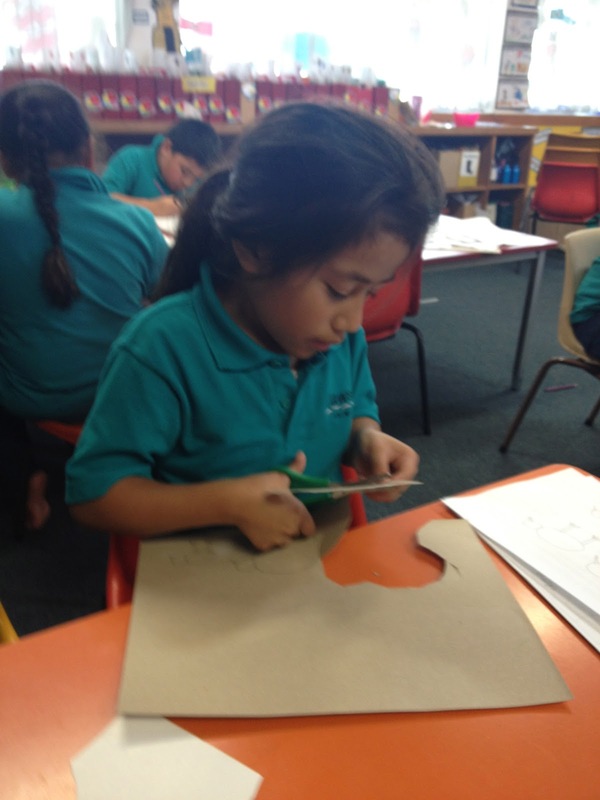 Look at how hard we were working at creating an illustration to go with our poem. 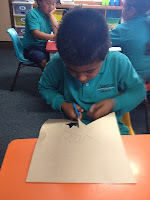 We all drew a different picture, some of us had grandma jump over a bird, or a plane, or the sky tower and even the moon. 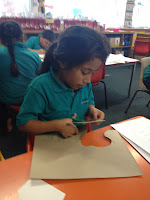 We also chose our own final design to make stencils for our art exhibition piece. 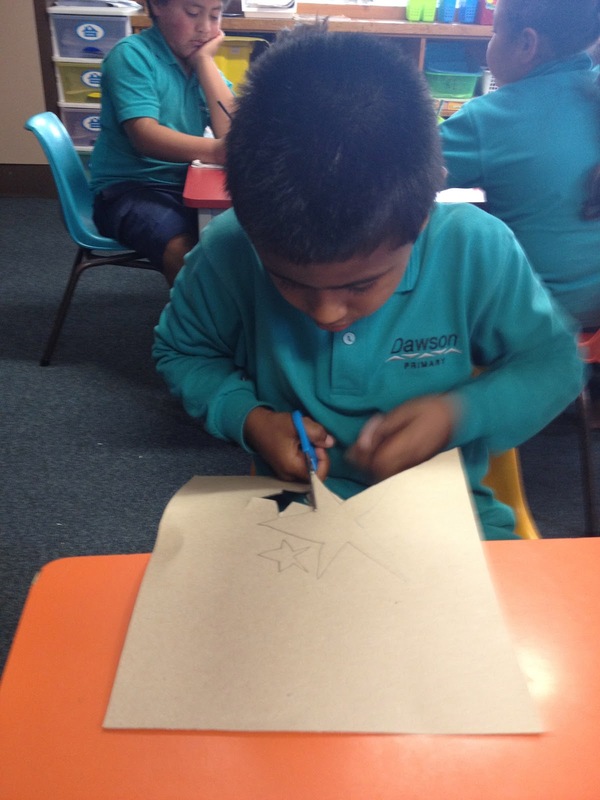 We got to choose which shape we wanted to draw. Once we were happy with what we had drawn we drew it on to card and cut it out. Keep an eye out for the next thing we do. I love the post that you did beuase the photos were really nice. Why did you have to look on the blog on the i pad? Your post about your art work. We like all your beautiful paintings. We wish we could do those wonderful artworks.